This 1-day ISO 9001:2015 Internal Auditor Training allows you to adapt your auditing technique to accommodate the new and amended requirements in ISO 9001:2015. It includes understanding the role of internal audit, the purpose and structure of ISO 9001:2015, how to plan and prepare for an internal audit, gather audit evidence through observation, interview and sampling of documents and more. Recommended participants includes all existing internal and external auditors that wish to be able to audit ISO 9001:2015, quality managers, process owners and anyone that needs to understand the ISO 9001:2015 audit process, and anyone involved in the implementation or transition of ISO 9001:2015. 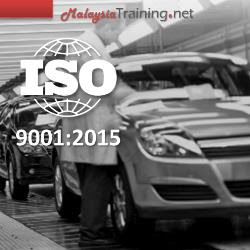 Explain the purpose and structure of ISO 9001:2015. Write factual audit reports that help to improve the effectiveness of the QMS. Annex SL detailed framework ?context of the organization, leadership, managing risks & improvement. Quality management fundamentals and principles. Planning and managing top management involvement. The differences in the clauses of ISO 9001:2008 and ISO 9001:2015. Relationship between internal and external issues, risks, opportunities and the processes within the management system. Implications for the auditor and the organization. New skills needed to audit against ISO 9001:2015. Moving away from a prescriptive approach to process approach and the use of checklists in performing audits. Identifying the types of skills required towards interviewing techniques. Understanding the changes to competencies and compares them to the current auditor references, experiences and training. Requirements for documented information and how this impacts the audit process including the identification of audit evidence. Methodologies for auditing the new requirement for Risk Management (Risk Based Thinking). Methodologies for auditing the new requirement for Organizational Knowledge.